Thanks to psychiatrist Carl Jung and other scientists for giving us words and concepts that help us see the effects we have on our environments. Each of us creates our individual universe of experience, in cooperation with the large framework of reality built by powerful beings—consciousness that ensoul universes, galaxies, solar systems, stars and planets. Details are filled in by the consciousnesses of less powerful beings, like ants, birds, trees, woods, valleys, rivers, and mountains. Though we humans vary in soul power, we are all very powerful beings. We agreed to come into the third dimension of Earth with our memories of ourselves as great creators having been wiped out. In this fifth dimension of New Earth, we are reawakening to that self-knowledge. through the Law of Attraction teachings. We are energetic beings of Consciousness that take in and give off energies of various frequencies. You can imagine that the desire of one person to create a neighborhood of peaceful compassion and cooperation among its people will become effective as more and more community members take on the same intention, unwaveringly directing the powerful Force of Intent. Intent driven by such harmonious goals, will radiate as a harmonious energy that affects not only the people, but all beings and what we consider to be inanimate objects in and around the neighborhood, even into the ground and the air. Large numbers of people together form a Collective Consciousness that has its own frequency and level of harmony. When the Collective Consciousness of people in any area is disharmonious and powerful enough, it can affect the waters and air, causing destructive storms. It can even cause earthquakes and move Earth’s tectonic plates. Take a look at the two images on tectonic plates, their movements and the layers of Earth, so you can imagine what happens when those plates move significantly. 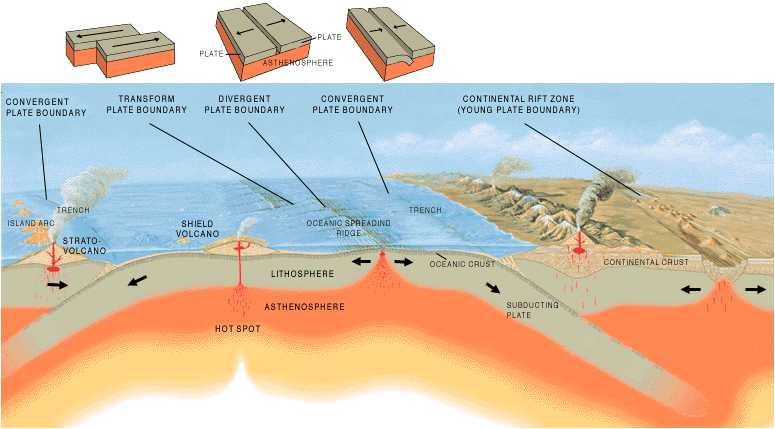 The second image also depicts volcanic movement. The Transformational energies that have been hitting us since the year 2000 from the center of the Milky Way, our sun, comets and other constellations have not only loosened up our egos and beliefs and destabilized societal and financial systems, but have also had destabilizing effects on physical Earth systems. That loosening makes it easier for human Collective Consciousness to affect them. As shaman Dr. Gregory Antyuhin said a few years ago, what happens to California depends on the relative lightness (positivity) or darkness (negativity) of the people there. Even now, it is not clear to me that Light will win out on our west coast. Here is a playlist of videos by Chandra Easton, as she uses mundane astrology to assess possible near term great Earth changes. In it you will hear her talk about horribly negative human factors in different places and what catastrophic changes might be brought about in those areas if people do not correct those situations. 1 Chakras – Energy vortices in the body. The picture shows the major seven. There are those in the palms and soles of the feet. 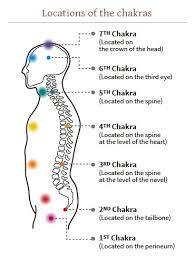 There at least over one hundred chakras, according to Oriental wisdom. hello, I have to ask you this, there’s a group of people calling themselves targeted individuals which are being attacked by negative beings .some of these people have been getting it since they were born. you say people create their own lives, how is it that they created this ? these people don’t live here in this world they survive in this world. these are good people it’s been said (some of the very best)! where are all these higher beings that they allow this to happen? I have been reading your articles but in reality of life I’m trying to make since of them. higher energy’s are here to help us but this world just keeps getting worse each day. do you really think humans are behind the destructive acts that are ruining the world or possessed humans. I believe most americans are under some type of mind control that I will call alien tech. and is being delivered through chemtrails, gmo food and drinking water. where’s the help? thank you, I will be looking forward to it. happy independence day.